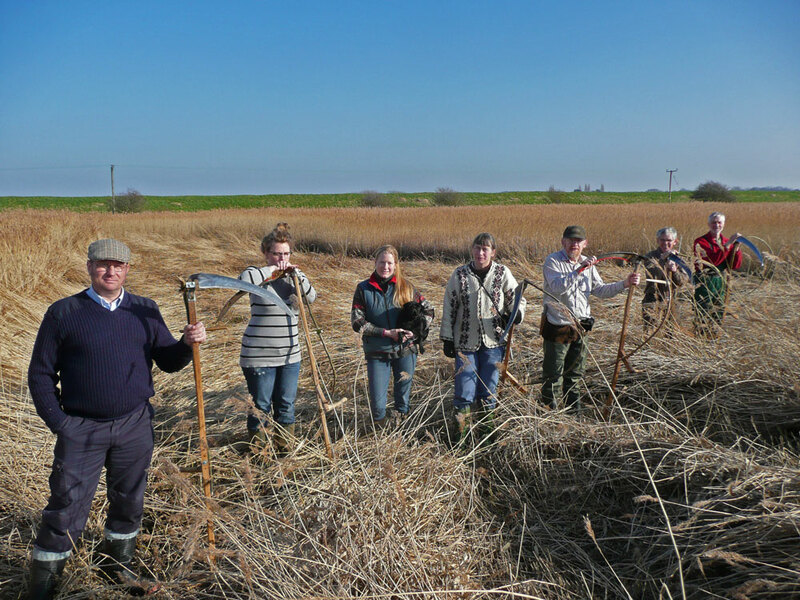 On a pleasant bright winters day seven SABI scythers gathered in a Norfolk reedbed for an opportunity to get their scythes out of hibernation for a bit of out-of-season mowing. 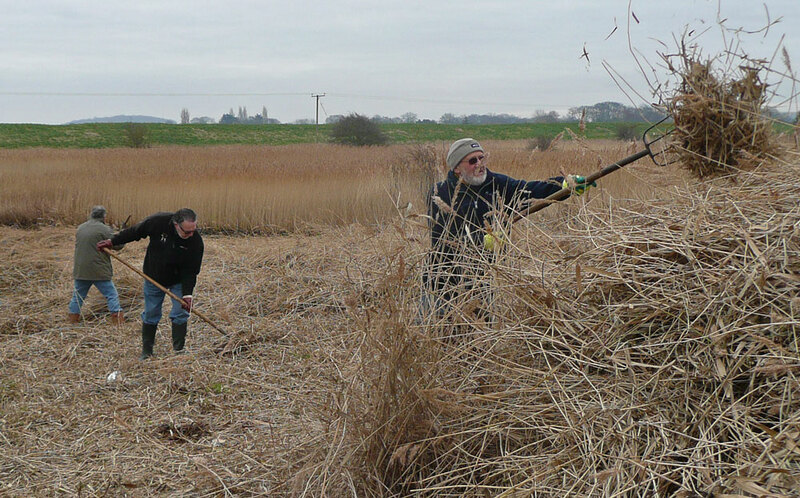 The aim was to mow a section of reedbed to clear space for the construction of a wetland scrape. This forms part of the Higher Level Stewardship management plan for the 11 acre reedbed which is owned and managed as a nature reserve by Heacham Parish Council. The group included SABI newcomer Andrew (on left) who was lent a scythe, given some basic pointers, and went on to do some stalwart mowing. He has since bought a scythe set and signed up for a course in the summer. 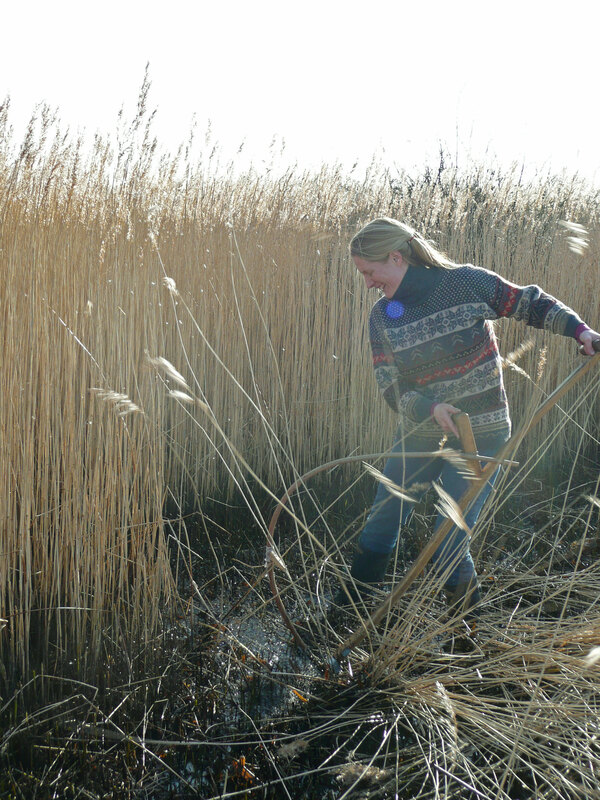 All agreed that cutting reed was fairly strenuous compared to lush grass – especially when cutting under water! Several mowers resorted to lowering the grips on the snath to compensate for wellies sinking six inches into the swamp. 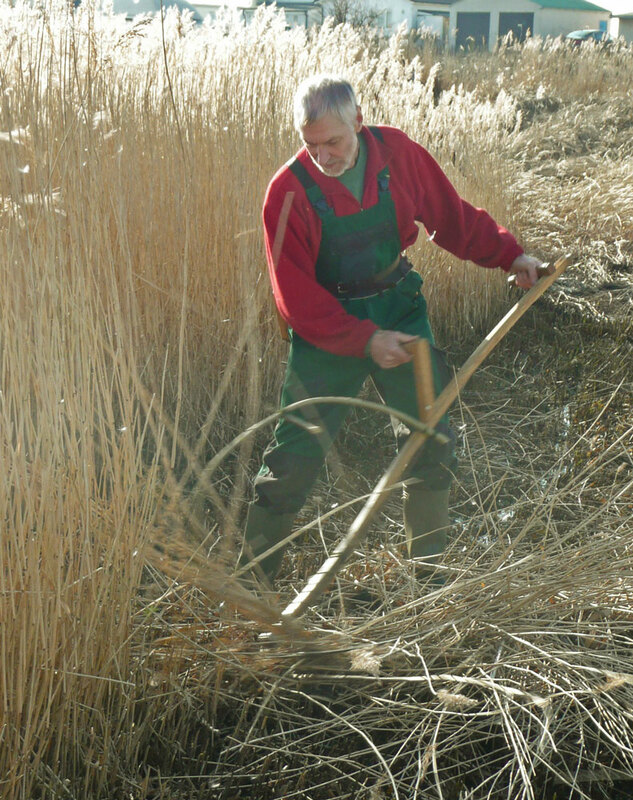 The willow bows help to keep the tall stems from falling back over the blade and deposit the reeds in neat order to the left – this makes gathering much easier. With a group effort it did not take long to cut the 1/4 acre section. As with all mowing tasks, clearing up the cut material takes more time and effort than the cutting itself. Fortunately we had some local volunteer assistance on the Sunday from Michael, John & Terry from Heacham Parish Council. This meant we were able to spend more time mowing and open up a much larger area than would have been possible on our own. A proportion of the better reed was cleaned and tied in bundles. 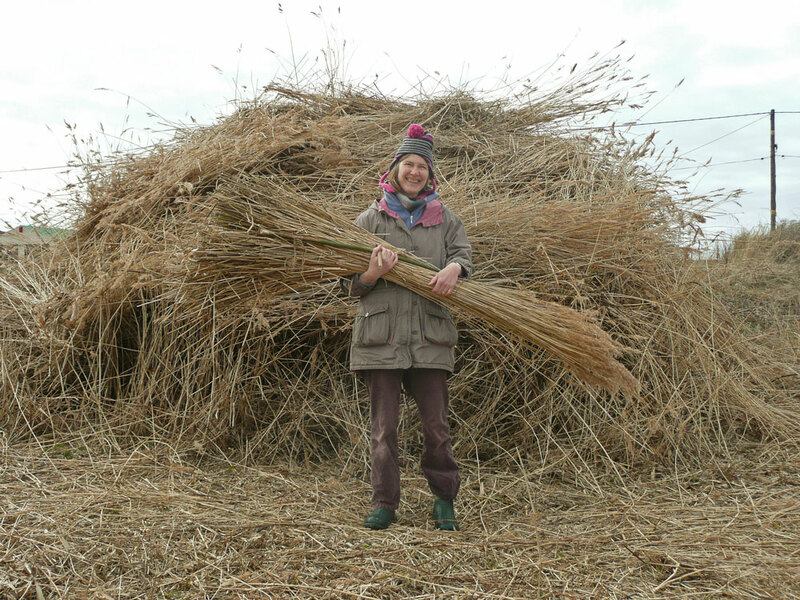 Several scythers (like Kathy) took home bundles of reed for an interesting variety of projects – I hope to get feedback and pictures of their results in due course. I would like to thank all who joined me over the weekend: Beth Tilston, Jim & Kathy McVittie, Gemma Suggitt, Petra Reulecke, Simon Lamb and Andrew Cook. It was a most enjoyable and productive event. Video of the weekend – includes footage of reed cutting by machine in 2012. This entry was posted in Reed cutting and other uses. Bookmark the permalink.